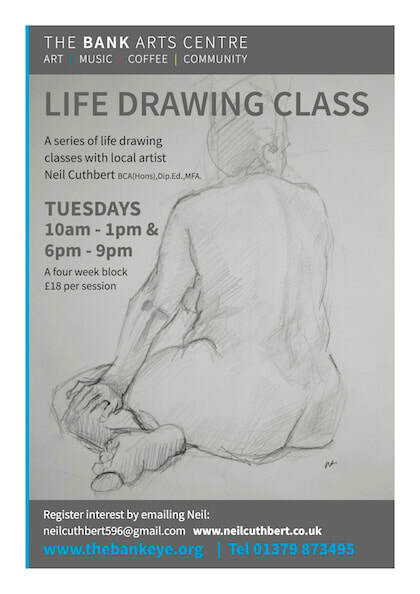 A series of life drawing classes with local artist Neil Cuthburt BCA(Hons),Dip.Ed.,MFA. The daytime sessions follow a rolling 4 week format that continues in 4 week blocks. The evening sessions are currently a per week session. Each class features a couple of specific muscles as well as general instruction on musculature as a whole and how to approach this when drawing the figure. Some easels and drawing boards provided. neilcuthbert596@gmail.com to register your interest.